Pasadena Legal Group | Is “Pin” A Generic Trademark Term? Is “Pin” A Generic Trademark Term? Pintrips contends that “pin” is a generic verb that can’t be reserved for the exclusive use of one company. A “generic” term is one that is merely the accepted and recognized description of a class of goods or services – for example, “Apple” brand apple juice. Generic terms are not protected by trademark law. Pinterest, which allows people to save and share images on a virtual bulletin board, sued Pintrips in federal court claiming that the travel company’s function allowing users to bookmark flight information using a “pin” button violated Pinterest’s trademark rights. 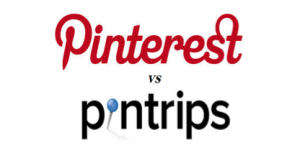 According to Pintrips, just as Facebook can’t own the verb “like,” Pinterest can’t own the word “pin.” The company pointed out that many other websites and apps use the term “pin” for similar functions. Pinterest claims that it originated the use of the term “pin” for social media bookmarking and that the public now identifies the word “pin” with Pinterest. Pinterest has applied for a US federal trademark for “pin” but registration is being opposed by Sprint. The “Pin” mark has been successfully registered by the company in other countries. If you’re considering trademarking names for your products or services, and want to learn more about what makes a mark weak or strong, please contact me for a free 30 minute consultation at nvantreeck@usip.com or call TOLL FREE at 1-855-UR IDEAS (1-855-874-3327) and ask for Norman.